Sarah Huckabee Sanders really knows how to trigger the left. This time she did it but good and I love it. 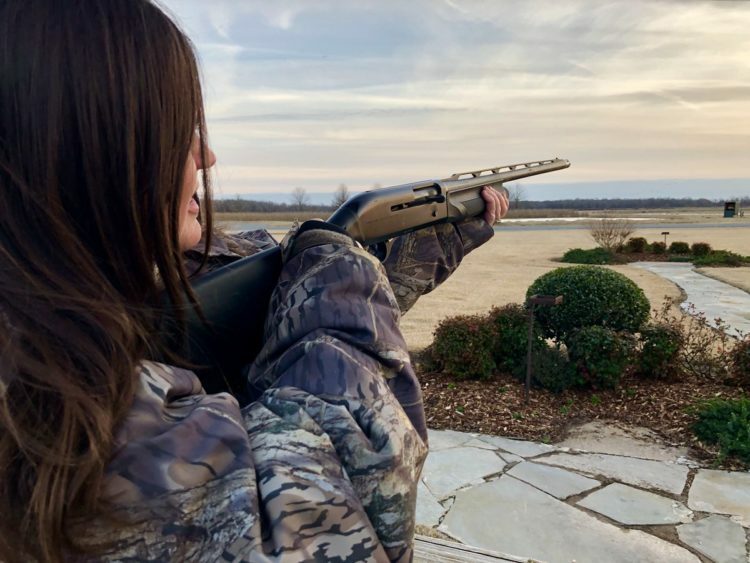 Relaxing in Arkansas at home, Sarah took her shotgun out back for some fun. She shared photos of her alone time with her gun on Twitter. Bonus… she was dressed in hunting attire. She made it look good too. Cue the meltdown of millions of snowflakes. Looks like Sarah can do more than war with the press and bake pies. “Back home where we learned how to do more than just bake pecan pies. #trapshooting #pull.” Gotta love it. Ever since that insane ‘pie gate’ episode where CNN’s April Ryan accused Sarah Sanders of posting a fake pie online over Thanksgiving, Sanders has been turning the tables on the left and having massive fun at their expense. They certainly deserve that and more. They troll her online incessantly… now, she’s trolling back and it’s epic. Outrage ensued the likes of Armageddon on the left. It was glorious. Sarah was shooting clay pigeons, which was pretty obvious… but that was lost on the left either on purpose or just because they are idiots. I lean towards the ‘idiots’ option. One of these ‘idiots’, Betty Bowers, tried to claim that the pic was fake a la ‘pie gate’: “Sarah Sanders pretends to “go huntin’ in the country” without taking her slippers off. I do enjoy the members of the Trump Theater Troupe serving up ham-fisted inauthenticity by putting on cute costumes and pretending to be how they think Donald’s dwindling base looks and acts.” Lots of lies there and this woman is very unhinged and paranoid. A typical leftist. Betty Bowers is a real nut job who wasn’t finished either. “Happy Birthday Jesus! Thoughts and prayers, as I know December 25 can be an awkward day for you. #ChristmasDay.” So, another Christian hater, which is yet another reason she attacked Sanders. That’s pretty much straight up evil. Others accused Sarah of hunting in her front yard, which obviously is not the case. Her father Mike Huckabee said this, “Today is a duck hunt on a COLD day in AR. Duck pie anyone? @PressSec might make one of those.” Heh. Maybe duck soup too. I guess shooting at clay pigeons was a warm-up for a real duck hunt. Hope Sarah bagged her limit. It’s just amazing how much the left hates Sarah Huckabee Sanders. That means she’s doing her job and she does it fearlessly. From everything I’ve heard she’s a very good woman and a great wife and mother. She’s sure a hell of a press secretary. Keep trolling, Sarah… it suits you.